I’ve been slightly obsessed with bows recently in case you haven’t noticed. I’m really digging them. 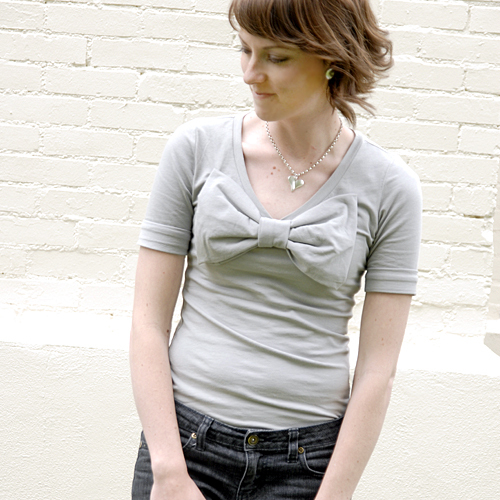 I’m seeing bows pop up in the most fashionable of places like Anthropologie, J.Crew, Ann Taylor Loft and Urban Outfitters. 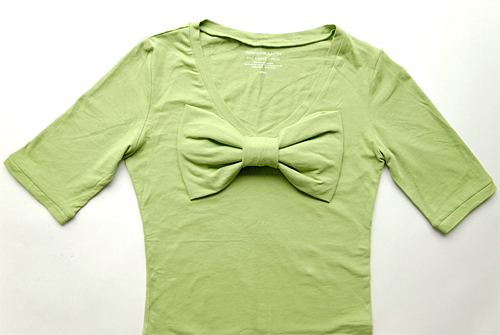 As soon as I saw this bow pillow tutorial, I knew I needed to have a shirt with a giant bow on it. I bought two DownEast Basics v-neck shirts and transformed them into what you see above. The project cost a total of $5 and 45 minutes. Winging it and hand-sewing slowed me down a tad. The finished product is feminine & accentuates my tiny bust, so it might not be suitable for the well-endowed. I’ve included a tutorial on how I did it, if you’d like to give it a try. I sure hope you do! To make this t-shirt, you’ll need two shirts; one of which needs to be v-neck. I chose two of the exact shirts, in the same color. Feel free to get creative! 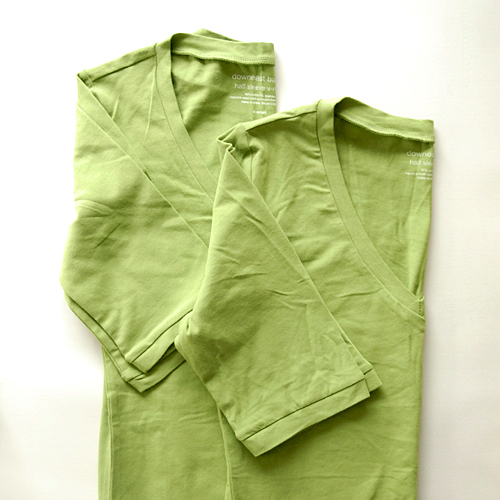 Grab the extra tee and set the good tee aside for later. 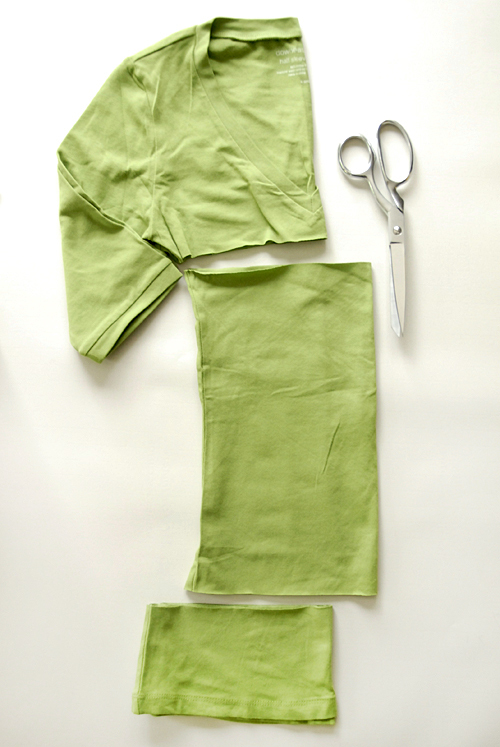 Fold the extra tee in half lengthwise and cut just below the armpit and about 3 inches above the hem. No need to be exact, just eyeball it. 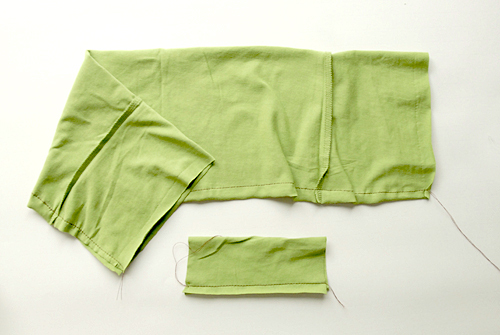 Grab the middle section and align side seams together. Cut off about 2 inches of fabric. 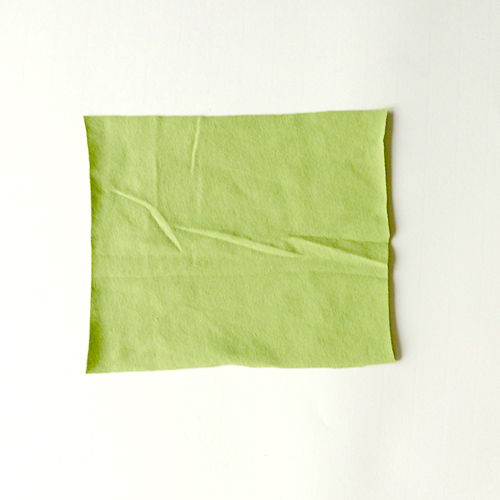 Unfold the extra two inches and cut a 4×6 inch rectangle. I eyeballed it. Fold both bow pieces in half lenghtwise with right sides in. Sew along open ends with a half inch seam allowance. Turn fabric right side out and center the seams along the middle of the back side so they won’t show when you assemble your bow. fold both bow pieces in half width-wise with the good side facing in. 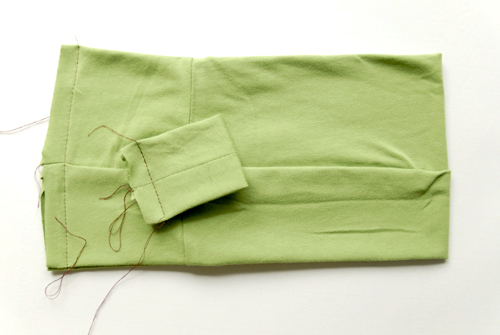 Sew along open ends with a half inch seam allowance. Turn loops right side out and center the seams along the back side so they won’t show when you assemble the bow. 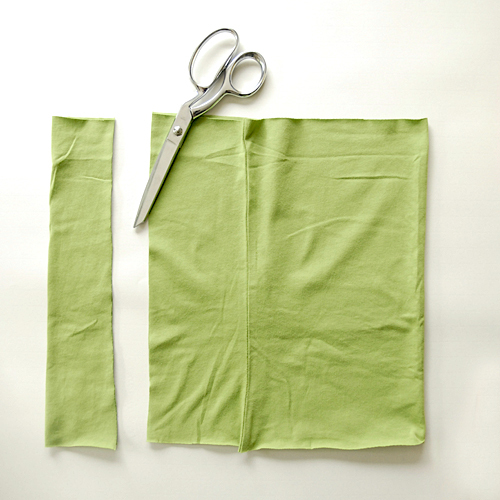 Turn big loop to the back(seam facing up) and accordion fold along the middle to create the pleats. Anchor pleats by hand stitching the center together. Slide small loop over the pleated bow and sew into place. 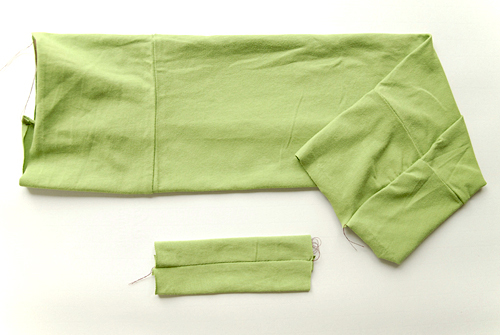 Snag your nice tee and lay it flat on the ground, smoothing out wrinkles. 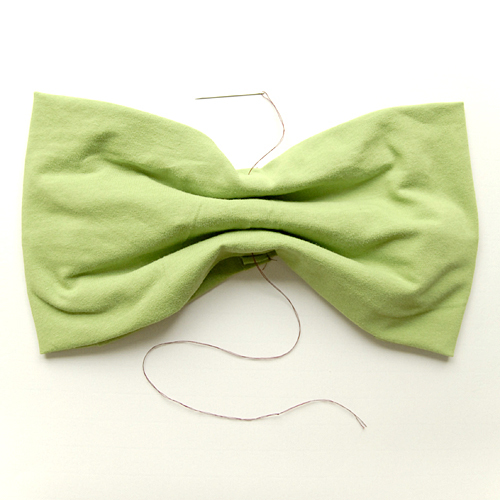 Place the bow at the base of the V and hand stitch into place. Stitch into place by anchoring undersides of the bow to the tee. Enjoy! Click the button below to download the tutorial in PDF format. This tutorial is free for personal use and should not be distributed without my consent. If you would like to use this commercially, please email me. Thanks! Oh this is fantastic. I’m really into bows lately too but unfortunately I think I may just be too big busted for this shirt :( I’ll just stick to putting them on my handbags for now I suppose. I’ll be showing my sister this tutorial though, I think this shirt would look fantastic on her! i’m trying this THIS weekend! I LOVE it! thanks for the tutorial! Unfortunately I’m a little too big in that area but I’ll just sew it onto my shoulder instead! You are so itty bitty! This shirt looks fantastic on you. I have to know how you can score two downeast shirts for $5!! There is a Downeast Warehouse, in Downtown SLC where they sell shirts for $3 or 2 for $5. You can read about it here. Thanks Madeline for the link! I love going there. Did you know that they have men’s shirts there, too? It’s pretty rad. This would be so much fun to make!! Thanks for this Tutorial! I could certainly use some help accentuating a tiny bust….but unfortunately, my quickly growing belly would probably outshine even a bow that big! I love this. It’s very feminine and playful. Wow – what a bow. 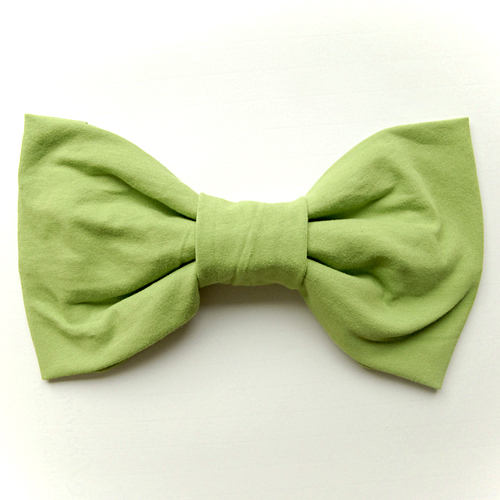 You should come to Japan, ’cause bows are right now super trendy … well, at least I see a lot here in Tokyo. Have a great Bow-Day !